The plastic bag prohibition falls under Denpasar Mayor Regulation no. 36 of 2018 Concerning the Reduction of the Use of Plastic Bags, announced by Mayor Rai Mantra. “It would be better if people bring their own bags when shopping, if it can be implemented, it will certainly have a positive impact,” Governor Mantra said on Tuesday, as quoted by Bali Post. But the bag ban, taking effect Jan. 1, will not be all-encompassing, applying mainly to “modern stores” (like supermarkets and convenience stores) and shopping centers. However, traditional markets will also be subject to the plastic bag prohibition as well, according to head of data collection and Denpasar City spokesman, I Wayan Hedaryana. “In the future, for all traditional markets, trolleys and shopping carts will be used to reduce the use of plastic bags,” he said. “The goal is for us to anticipate the impact of plastic waste early, especially since plastic is so difficult to decompose,” Hedaryana told Kompas on Tuesday. “Since last year, Denpasar City Government has aggressively been promoting the reduction of plastic bag use, and an effort is being made to distribute environmentally friendly bags on car-free day,” Hedaryana explained. Indonesia has ranked as the second largest plastic waste contributor in the world in 2018, with a total of 64 million tons of plastic waste per year coming out of the country, according to data from the Indonesian Plastic Industry Association (INAPLAS) and the Central Statistics Agency (BPS). 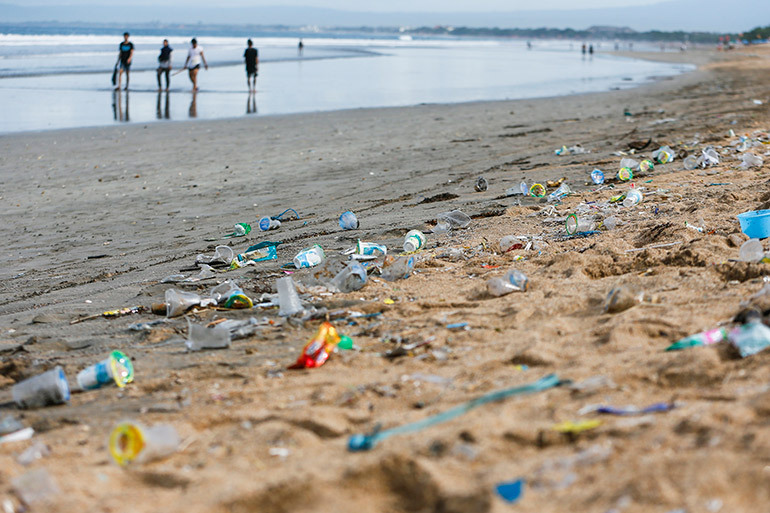 Bali’s been particularly bad with the plastic waste piling up, with Indonesian officials, declaring a “garbage emergency” last year swamping a six-kilometer stretch of coast along the island. The island’s grim coastal pollution was highlighted in March by British diver Rich Horner’s viral video of swimming through a dystopia of trash swirling off shore.